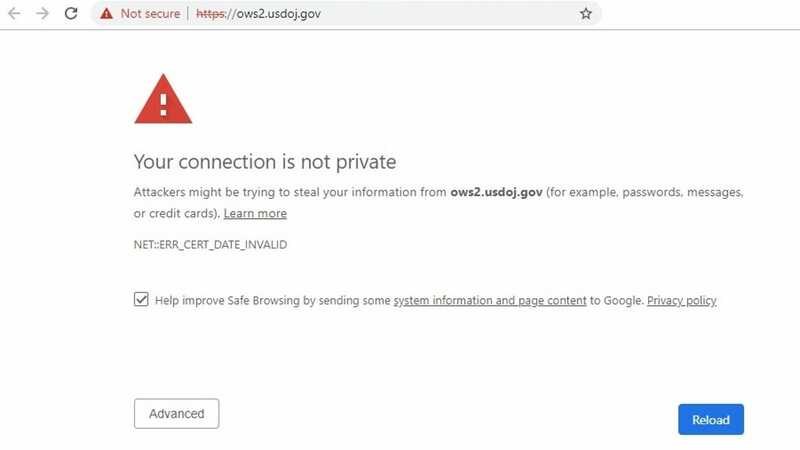 The problem stems from a failure to renew the sites’ Transport Layer Security (TLS) certificates, according to Netcraft, which monitors TLS activity. In layperson’s terms, a TLS certificate authenticates a website to your browser and ensures that people can’t snoop on the information you send to the site. The missed renewal has affected more than 80 government sites, Netcraft reported. … The Court of Appeals, NASA, and the DOJ did not immediately respond to requests for comment. However, only a few of the affected .gov sites implement correctly-functioning HSTS policies. Just a handful of the sites appear in the HSTS preload list, and only a small proportion of the rest attempt to set a policy via the Strict-Transport-Security HTTP header – but the latter policies will not be obeyed when they are served alongside an expired certificate, and so will only be effective if the user has already visited the sites before. Consequently, most of the affected sites will display an interstitial security warning that the user will be able to bypass.